After my OB basically guaranteeing that I'd go into labor before Christmas (based on my dilation+effacement+baby size), you can imagine how ready I was when it was almost a week post Christmas and I was still very much pregnant (I know, I shouldn't have believed her, but I did!). After my 38 week ultrasound (only the 3rd I'd ever had) they adjusted my due date from Jan. 3rd to Dec 31st. Not only was that exciting because that was 4 less days that I might not be pregnant but it would also be nice for the taxes ;). I had an OB appointment on the 30th with Wendy a Nurse Practitioner I had never met (but really liked). She checked me and was going to strip my membranes, but there was nothing to strip. She said he was so low, I was 100% effaced, dilated to a 4 and was watching me have somewhat regular contractions right there on the table, so she thought I should go to the hospital right away. I smiled and nodded and got myself dressed. I didn't feel like I was anywhere near having the baby, so I had no intention of checking myself into the hospital just yet. I knew the longer you're at the hospital, the quicker (and potentially more) interventions they would try and introduce and I was aiming to go for as long as possible without interventions. I was pretty sure I wasn't going to go natural this time around, but I wanted to know how bad it got so that if I ever did want to try natural I would have some idea of what I was signing up for. As we walked out to the car, Marcus started saying how we needed to run home and get the bag and get Poppy squared away, and then I told him that I wasn't going to the hospital. He wasn't so excited about that idea. 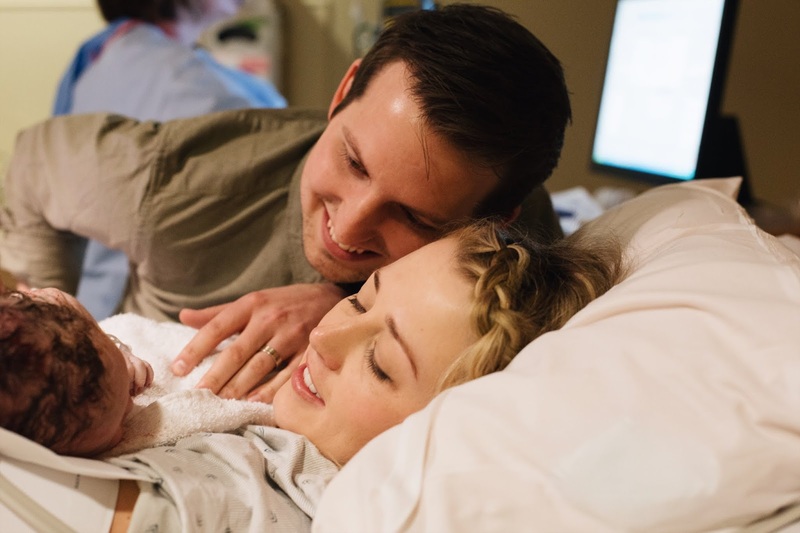 I reminded him that I had written out a birth plan and he had agreed to support me on it and that one of the points was that I was going to labor out of the hospital for as long as I could. On the car ride home, I had to actually call and cancel the prenatal massage I had scheduled, in hopes that it would put me into labor, because I already WAS in labor! We went back to my mom's house where my two sisters were and told them that it looked like I was in real labor and would probably have the baby pretty soon! It was exciting, but also I felt very calm. "Too calm," as Marcus would put it. He was going crazy all day. He couldn't understand why I wasn't freaking out and why I wasn't listening to the NP's advice and going to the hospital. 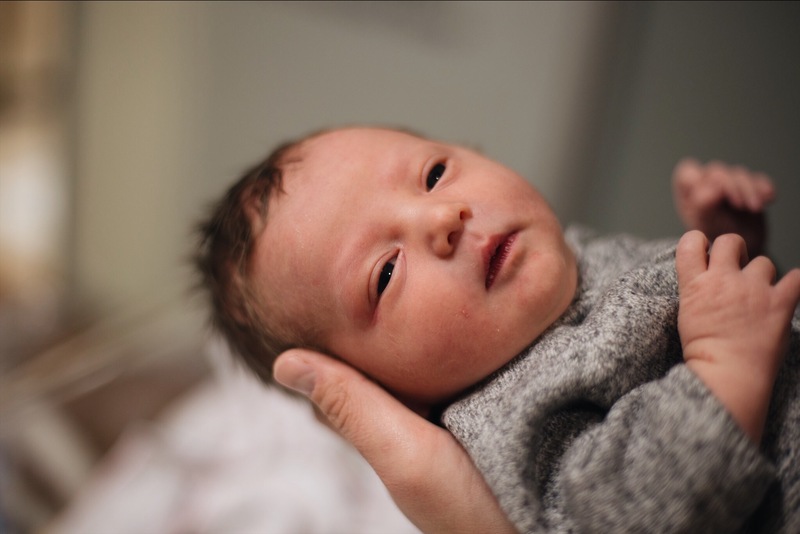 I told him that if this is what labor felt like, then I was just fine with having him right there in my mom's bathtub, but that what I really thought was that it must get a lot worse than this, and when it does, then I will know it's time to go! My sisters were headed out to do some shopping at Tempe Marketplace and since I wanted to do some walking to hopefully get things going, I decided to come along. Marcus, of course joined too. At 3AM I woke up with STRONG contractions. I got ready while Marcus slept, because I couldn't sleep and I wanted to make sure they were real and timeable. 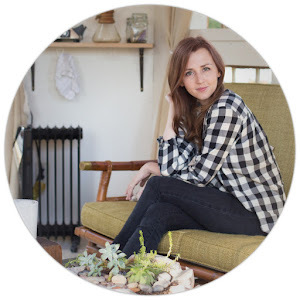 I couldn't believe how calm I felt as I floated around the house getting things in order. It was like time was going slow and fast all at once and that I was really just watching myself from outside my body. It's hard to explain, but Marcus stayed asleep until I was ready and sure this was the real deal. I whispered that it was time for him to get ready and then we could go. He woke up in total shock--first because it was really happening and second because he couldn't believe he slept through all of it. I tried texting my sister Heidi who flew in from Utah to be with us in the room for delivery as support, but she wasn't responding, so when we took Poppy over to my mom's, I snuck down into the basement and whispered that we were heading over and that we'd text her once we got closer. Of course, she couldn't sleep after that and ended up at the hospital not long after us. When we got to the hospital, the contractions were much more uncomfortable. It took a little while to get checked in. They had me in a little side room to monitor and decide if they'd admit me. When they checked me, I was just a little above a 4 and they said I could go home if I wanted. I was so discouraged and shocked! Why would they send me home!? When the nurse saw my shock, she said she'd go ask the doctor. Then she came back and said I could stay, but would be put in a room they usually just use for storage because they were full. I told them I didn't mind a bit, but that I didn't want to go to my room yet, I wanted to keep walking. They said that was fine. Just then, my sister, Heidi showed up. She snapped a few pictures of us walking the hallways and then settled in our room and waited for us to come there. After walking for sometime, I decided to go on with my plan to labor in the laboring tub they have at Banner Gateway. The nurse filled the tub and I got in my swimsuit. The room was quiet and dim, but the water was just luke-warm--not exactly the jacuzzi spa I was hoping for, but it still felt nice to be away from the medical room and with two people I loved in a calming space. At first I laid there, focusing on my breathing, but after about 45 minutes the water was cold, I was in serious pain and I couldn't tell if my uncontrollable shaking was from my dropping body temps or my nervousness, so I decided to get out and dry off. To the room to robe-up, use the bathroom and get settled in my very large storage/delivery room. 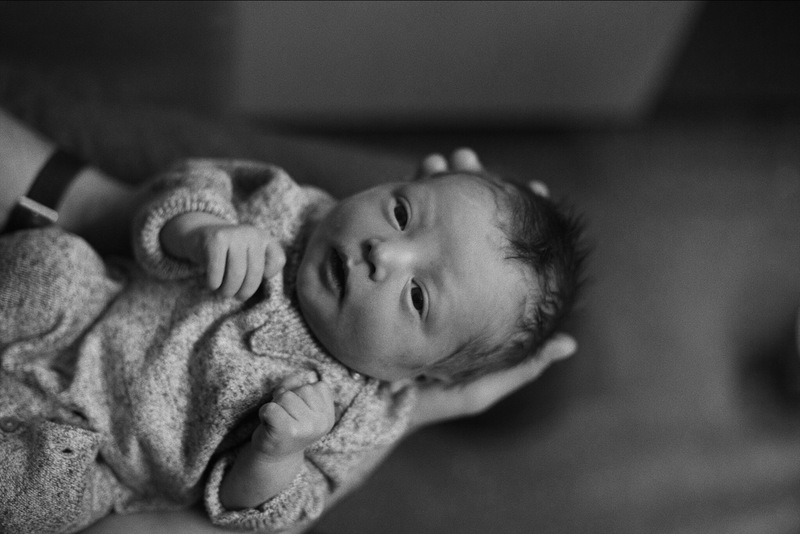 I met some of the nurses, gave them copies of my birth plan and settled in to get checked. At this point I was between a 7 and an 8. Things were getting pretty terrible, but I wanted to wait a little longer. I had grown up with absolutely terrible menstrual pains (read here), some GYNs speculate that I have endometriosis, and my entire pregnancy I was wondering if labor would be anything like that pain. Well, it was--pretty much exactly like that, which was partly terrible, because it's probably the worst pain I've ever experience, but it was partly comforting, because it was something I had experienced, and survived. Although, usually with the generous help of my best girl, Midol! I had told Marcus that I would go without the epidural as long as I wasn't passing out or throwing up (two things that happen to me during my worst periods). I didn't want that to be my memory of delivering my baby. After an hour or so, the nurse checked me and I was at a 9. 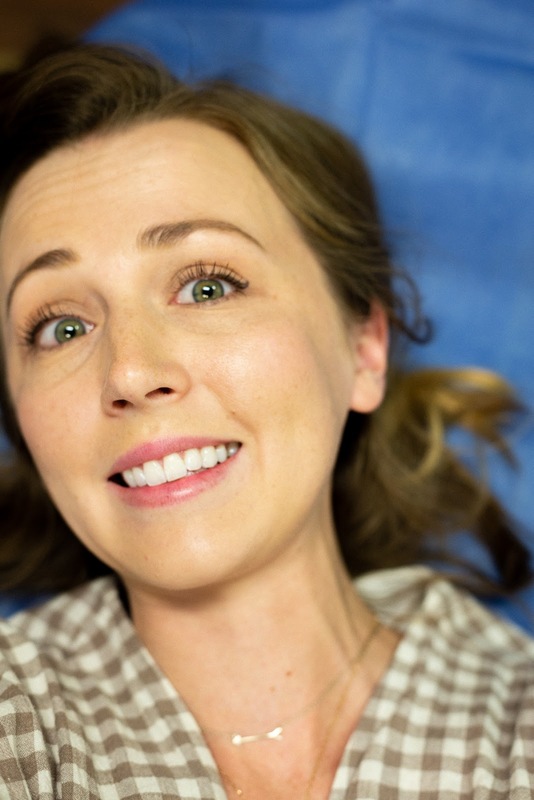 They kept asking me if I was ready for the epidural (even though my birth plan mentioned several times, that I would ask if I needed it, and I didn't want to be offered, but what can you do?). A few minutes after being checked I started shaking bad and throwing up and that's when I knew it was time. My anesthesiologist, Buck, was right out in the hall, ready and waiting. He works with Marcus regularly and Marcus was glad I got him because he knows he's good. I leaned over, trying not to shake too bad. He said I was super easy and it was done in a jiffy. Before getting it, I told him to do the lowest possible dose and he agreed. Within 5 minutes of getting it, I was professing my love for him. And within 10 minutes I was fast asleep. I think I slept for around an hour. 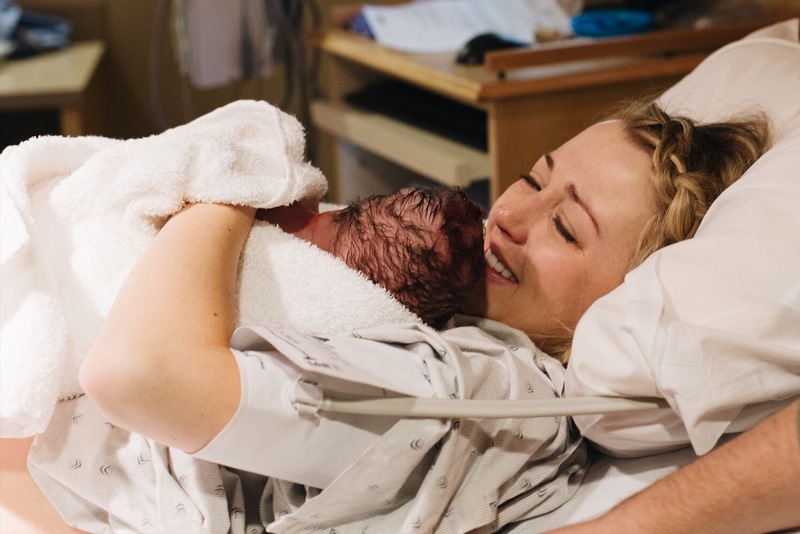 I could still feel my contractions when i woke up and the nurse kept asking if I wanted to up my dose and I kept telling her I liked that I could feel them--the edge was taken way off, but I still knew what was going on. I could also feel when I flexed my stomach muscles and could move my feet and legs. 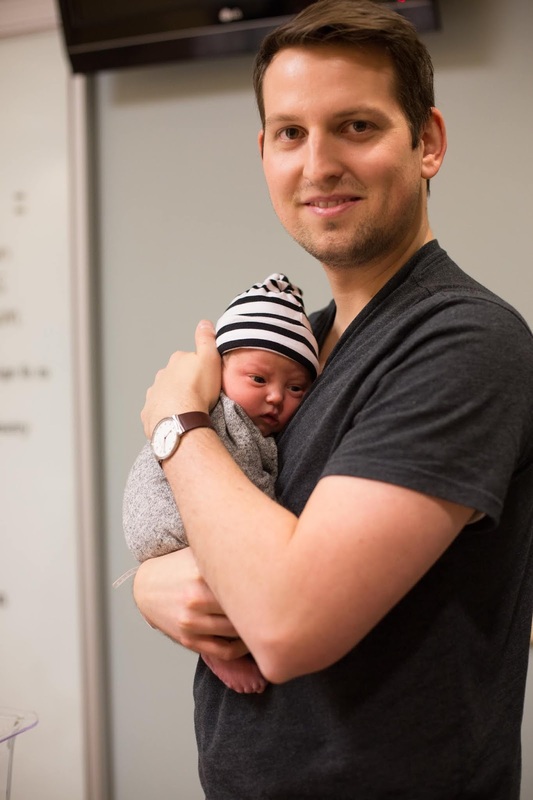 I was so happy and wouldn't let the nurse come near the button that upped my dose--it was like she didn't believe me that I wanted to feel something! After about 45 minutes of hard back to back pushing, the doc said I was doing everything right, but the baby wasn't coming down. I was too tiny and he was wedged behind a muscle that wasn't budging. She said she needed to do an episiotomy. She then proceeded to tell us how dumb we were for thinking a tear would heal better than a cut. I had done a lot of research on the subject and except in the rare case you're going to tear all the way up, then a natural tear always heals better than a clean cut. I was so mad at how she was belittling us. I told her we'd keep trying, but eventually she said she needed to do it and I was too tired to fight it and she promised that as soon as she did, he'd pop right out! I begrudgingly consented, hanging on the promise of him popping right out... He did not. I kept pushing and he was still stuck. Then I tore and tore some more and finally she said the hair was out. It was a lot of hair and it was dark. Then I felt the pressure of him coming the rest of the way and then he was on my chest and it was glorious. He was swollen and pink and healthy and fat and he was adorable. I proudly proclaimed, "We did it, we beat the odds, we had a cute newborn!" And everyone laughed and agreed. Marcus cut the cord once it stopped pulsing and we cried and cried as we looked at our wide awake, super aware little baby boy...Simon. After they weighed him (7 lbs 12.5 oz) and got his foot prints, we tried nursing and he took right to it. I was so tired and so happy. He was the sweetest little person and I COULD NOT BELIEVE it was all real. Besides the fact that I pretty much hated the on-call doctor and swore if I ever ran into her on the street, I'd punch her in the face. 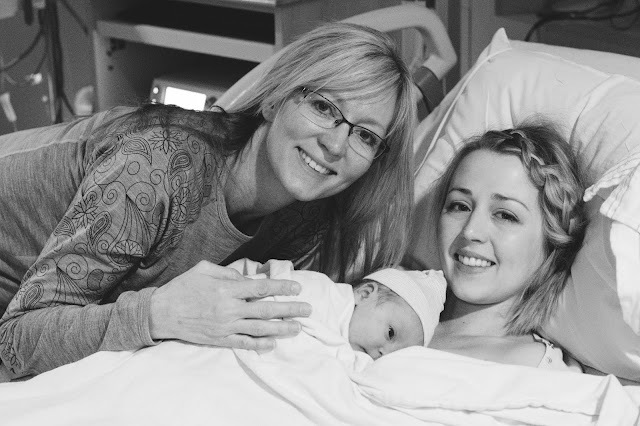 I absolutely loved my labor and delivery. I've never felt so loved and adored by Marcus and I've never felt so strong and triumphant and I've never loved anything so much in all my life. It was truly glorious. I look forward to nothing about pregnancy. I can candidly say that I hated everything about it other than watching him move inside me. But I look forward to everything about labor and delivery. It was so hard and so tiring and so exhausting and so painful, but it was so empowering and I loved it so much. Recovery was a whole other story that I will share some other time. But all I can say, is that it's worth it. Thank you Waxing The City for sponsoring this post. Unwanted hair is part of life...and so is getting rid of it. From brows - to backscaping - to bare it all Brazilians –we’ve seen it all. 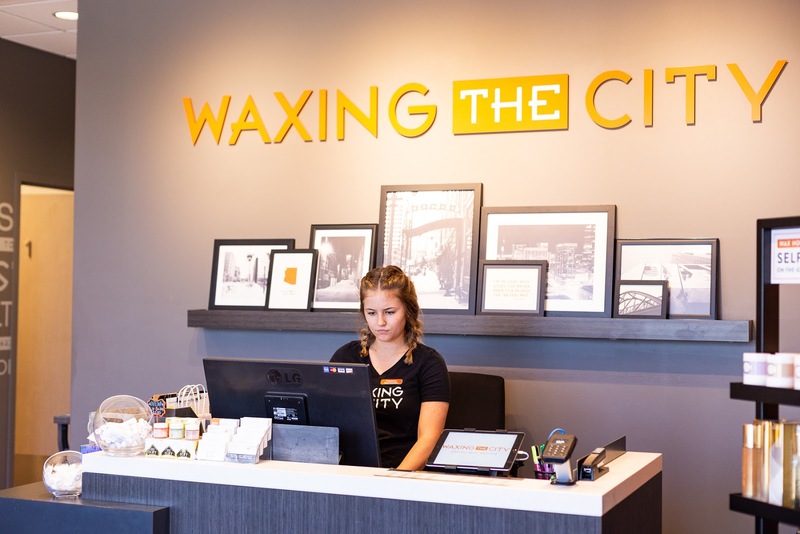 With 100 locations open –you’ll be sure to find a Waxing The City studio near you. First time customers get 50% off their first service! Simon's swim lessons, friend BBQ pool parties and family reunions at the lake + an overwhelmed mother of two attention-seeking toddler boys who doesn't have a lot of time to keep up on her shaving desires, don't mix super well--but who wants to miss out on all the water fun? Especially when 115 degrees is the norm?? Not me! Now I'm kind of a prude when it comes to being naked in front of stranger- haha, I'm going out on a limb here in assuming I'm not alone in that way of thinking. So I was secretly hoping since I was getting a modified bikini wax I wouldn't have to bare it all...I was wrong 😅. BUT my waxer was so chill and didn't make me feel weird at all. Of course, they truly don't care--they chose this profession and have seen it all, apparently they've done over half a million Brazilian! 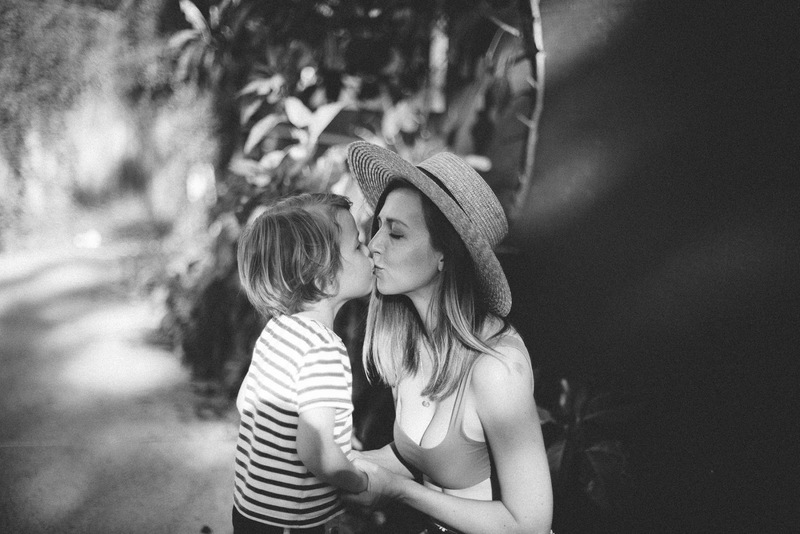 We chit-chatted about life, her engagement, and how it's kind of weird that we all care about body hair anyways. She educated me a little on waxing, but wasn't pushy or salesy at all. The process stings a bit, but was overall so much better than my first experience at a different salon, where they used much bigger strips of wax and the end result was bloody and bruised hair follicles! 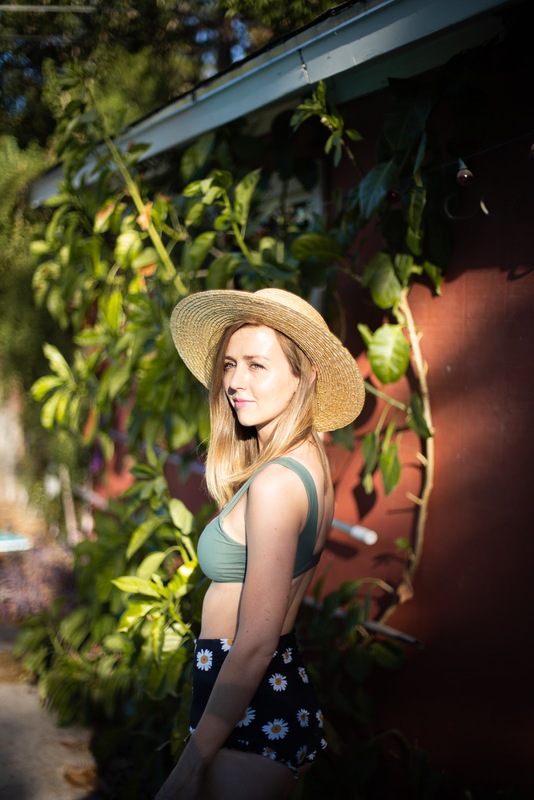 Grow out period is about two weeks--the hair has to be long enough for the wax to grab hold--Your hair grows in two cycles--so you follow up wax will be even less painful, smoother and faster. If you're going to make this a regular part of your routine, they recommend coming in every four weeks, to keep the hair growth cycle on track. Coming right before (or during) your period isn't recommended as you have more blood flow to the area and it will be more sensitive. Wait to do self-tanning lotion until after your wax, as it will be removed with the wax. After your wax, let your skin rest for a day or two, then start exfoliating to prevent any in-grown hairs. 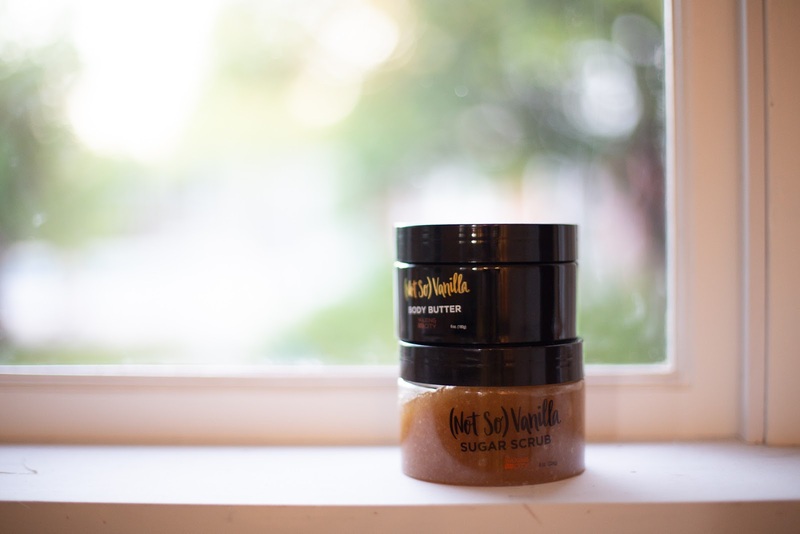 I loved their sugar scrub and their exfoliating mitts for this! 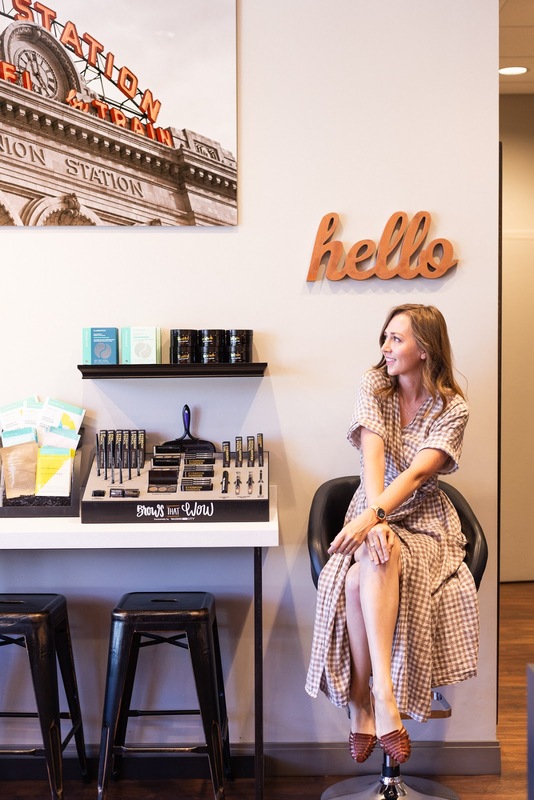 I truly loved my experience with Waxing The City--most of all because of the happy, positive and comforting vibe of the staff and the cute and clean office. Plus I had NO irritation post-wax, yay! I highly recommend them and if you do decide to give them a try, make sure to use the 50% off your first service deal! 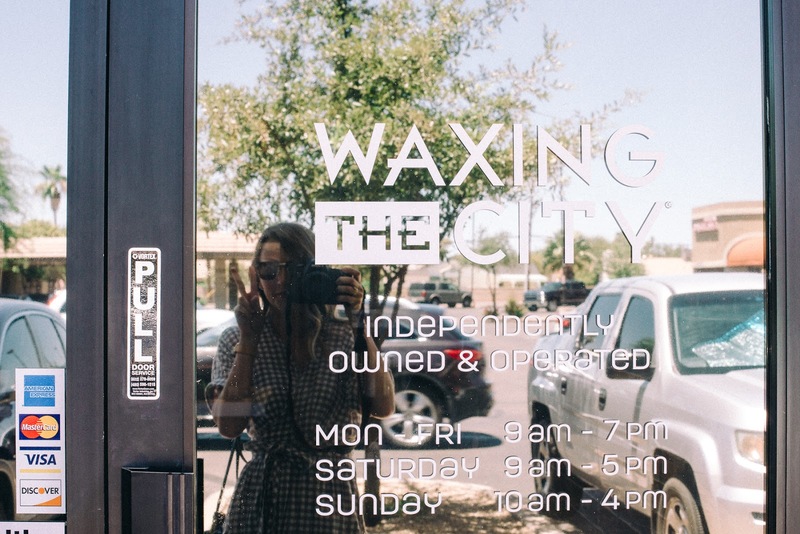 Just visit waxingthecity.com to schedule your service. //hi, my name is ashley. the things we find in draft. blog header via:http://colormekatie.blogspot.com/. Powered by Blogger. i believe in unicorns. contains advertising and affiliate marketing links. this means that i may get commission on sales of the products that i link in my posts. as a dear reader of mine, i want you to know that if you follow a link and make a purchase from an affiliate site, then i will make a commission from that purchase. sponsors, brand collaborations and affiliates make this blog possible. so if this is okay with you, it's okay with me. © i believe in unicorns. Maira Gall.